An iconic off-white file folder with an extended tab commonly used for holding and organizing documents. Such folders were originally made of manila hemp, and the name remained, even though they are now made of stiff, strong paper. Manila envelopes are similar in design to manila folders, with both coming in sizes that can accommodate either letter- or legal-sized documents without having to fold them. 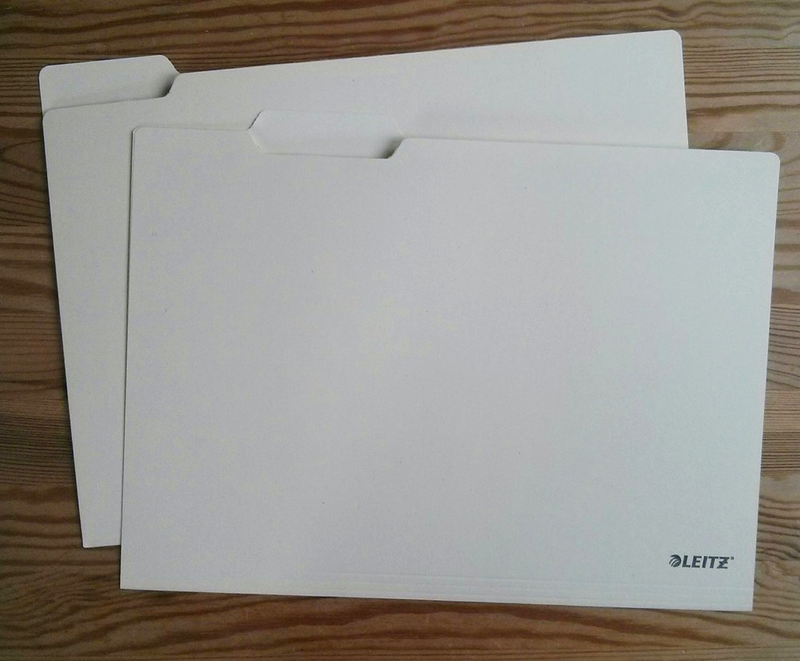 "Two manila folders made by Leitz, April 25, 2015" by blinry is licensed under CC BY-SA. 2015 Manila. http://www.merriam-webster.com/dictionary/manila, accessed April 8, 2015.